If you happen to visit the Clover Valley during the spring, you'll be in for a surprise. 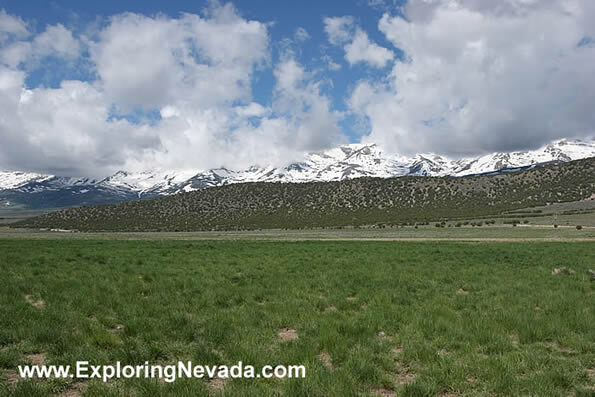 Instead of brown sagebrush you'll find an entire valley full of green grass. And in May, when this photo was taken, the mountains will also still be covered in a deep blanket of snow, too.